The other week my husband and I were attending a Wednesday Night community group at our church and we were talking about finances. The teacher asked us to come up with a dream for our life, something that we would love to do if money was not an issue. This question took us by surprise because ever since we had kids we never stopped to think about our dreams. After brainstorming for a while I couldn’t really come up with anything … because I was already doing what I loved – teaching Pilates. To me there is nothing more rewarding or satisfying than that. The only thing that I could think of was to take money out of the Pilates equation and start teaching the Method to everybody, regardless of whether they could afford it or not. Being a Pilates teacher is a calling that stops being just a career and becomes a lifestyle. 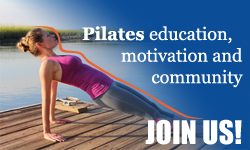 If you love Pilates and you can’t think of anything more exciting in life than sharing your love for this smart movement with the others then Pilates might be the best career for you. It’s amazing what you can achieve and how you can change your life if you start living with passion. 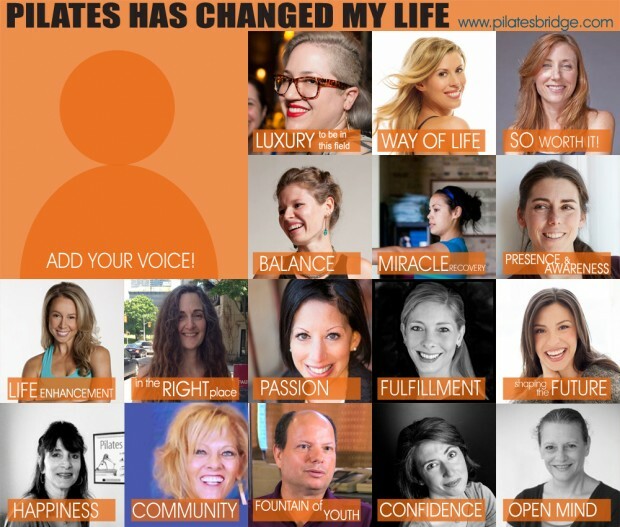 If you are already teaching Pilates and loving it then I ask you to add your voice to this conversation. How has Pilates changed your life? What word can summarize the biggest and most unbelievable change that Pilates has brought into your life? I don’t see Pilates as a “career” very often because when I’m teaching I know I am working hard but it never feels like hard work. I look forward to my day (most days…) and seeing my students and the awesome staff at the studio. My life changed in the sense that working in this medium eliminated the sense of dread regarding the choices I make. I know I am doing something good in some small sense. Did I do my best? What can I improve? What mistakes I’d like to learn from? What kind of teacher or boss do I want to be? Those types of things are on me to figure out. The luxury of being in this field in this capacity is something I am thankful for and never take for granted. 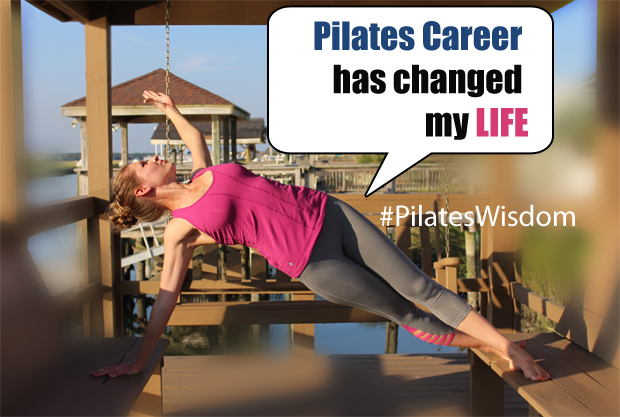 Having a career in Pilates has 100% changed my life. In college, I was a theater and dance major and adored performing. However, my father was an attorney and I worked as an intern at his firm every summer. I loved the problem solving aspect of the legal field. After finishing college, I became certified in Pilates because I was so in love with how it had changed my body. After about 4 years of being completely in love with my job, but struggling to make ends meet, I decided maybe I should grow up and go to law school. I began the process of going to law school, only to realize that I was miserable. The energy was so different than the positive happy energy of helping people to rehabilitate injuries, become stronger and healthier, and basically bring some light to someone’s day to day! After I realized what I had as a Pilates instructor, I left the law school path and came back to Los Angeles. After this experience, I realized that being a Pilates instructor is not only a career, it is an INCREDIBLE career. The fact that I had the life of teaching this amazing form of movement in the first place still makes me breathe a sigh of relief. I am SO happy I found this way of life. Since then I have immersed myself in making this not a job, but a way of life. I couldn’t be happier or more grateful for having Pilates be my life, and I would not trade it in for anything in the world. I had a corporate job that I quit to teach Pilates. I was completely naive, thinking that I was going to be my own boss, yeah! I was overlooking the fact that being your own boss meant no paid vacations, health care, sick days, or expense accounts. Being your own boss means you answer to your toughest critic–yourself. But really, it is SO worth it. I couldn’t help it, I was bursting with excitement to share my answer. Pilates gives me balance in life. Practicing Pilates gives me the perfect balance of strength and flexibility in my body that lets me enjoy everything else that I love doing (whether it is playing with the kids, running or standing behind the computer.) The flexibility of my teaching hours helps me balance my time with the family. The physical and social aspects of being a Pilates teacher perfectly balance out my introverted nature and my work behind the computer (website design and management, writing and content management for PilatesBridge.com) Pilates gives me my “me” time, my “social” time, my “make someone else feel good” time, my “bread-for-the-family” time, and my “creative” time. My Pilates career saved me from a life of injury and pain. I was rear ended by a drunk driver and the doctors said that I probably walked away from that car because I was strong from Pilates. Pilates has become a huge part of my recovery process and continues to be a very important part of my life. I also use my experience to emphasize with many of the rehab clients and help them get through their recovery period. Teaching I am granted with observing the beauty of human nature. I am inspired daily by people’s transformation. I connect to incredible stories and life journeys. I witness bodies move beyond the imaginable, from strong and supple bodies to other more inspiring movers I’ve met with joint replacements, only one leg, missing pelvic bones, spinal cord injuries, neurological challenges, pain… all of them working towards their own movement potential. Teaching Pilates requires me to be present in my interaction with the client, demands me to “be in my body” and increase my awareness of the moment. Everyday I am reminded that I have a body and am encouraged to move beyond what my mind can imagine. Every day I am met with warmth and gratitude. I can’t think of another job that could influence my life in this way. I’m not sure how a Pilates career has changed my life, since I feel as though I am doing what I was always meant to do. If having a Pilates career has given me happiness, a family, a community, and a solid living then I am forever grateful. But I think having a Pilates career hasn’t changed my life, it has really just enhanced it. I’ve done many, many things for a few weeks or a couple of years but always I just lose all interest. Then I got rear ended in a car and was sent to Pilates for rehabilitation (that or pain management and the doctor had “heard good things about Pilates and yoga and well the pain management waiting list is nine to twelve months, so you may as well try this in the meantime.”) I knew by my third lesson that I’d found my thing, and I had. I work in a heavenly space with my cats and most of the time I feel like I’m really in the right place. I am a far more fulfilled and interesting person than I could have been without this work, I’m grateful every day. I have developed with my students and peers. I have seen how important our work is and I feel so honored to be able to give the gift of healthy movement to others. I am truly fulfilled by giving to others in this way and I am rewarded on a daily basis. As a former dancer and performer my first encounter with Pilates was a healing one. What started as a means to an end quickly became a life changing way to move and keep me healthy and strong. As a teacher, I used Pilates to support me both in my love for helping others move well but also as my “day” job that brought home the bacon in between acting gigs. Now, Pilates has shaped my future, with my studio and my business coaching, and has offered me a glorious second career. Pilates has not only shaped my life but is my life. I honestly think I was born to teach Pilates. Of course prior to teaching Pilates I had many jobs from interpreter Spanish/French/English to Account Executive in the computer business to fitness instructor. As far back as I can remember, movement and fitness was always important to me. Being able to make a living doing something I love and doing something that can actually help change lives is the best thing ever. When I have a client tell me that for the first time in a long time their back doesn’t hurt, or they love the way they look after doing Pilates for a while I feel so wonderfully happy. I’ve become more outspoken in my community, a real contributor locally. As a business owner in a health and wellness industry I want to make a difference in my community. I feel a responsibility not only to work people out, but to give back. Donate to fundraisers for local charities, give to those who need but can’t afford, try to find ways that it’s a reciprocal situation, so no feels like they get a handout, they get a hand 😉 I believe health and wellness are a fundamental right, not a privilege, so I do my part in my community to help that happen in some way. It has provided me the fountain of youth and allowed me to share its benefits with the thousands of clients and patients I have treated over the last 30 years in ways that have allowed them to heal and change the way they move through life. My formal education is in the theatre. My years spent as a working (and often not working) actor made for a challenging way to earn a living. Running my Pilates business has been a big boost to my confidence with regard to supporting myself and my lifestyle. I feel very proud to be able to assist others with their life and activities by having a job and a business that I love. It has given me a reference point for life. I have been able to recover from a car accident quickly. I rarely have been sick and when I do, I recover quickly. It has provided me an incredible ongoing, full time living. I learn about myself from each student interaction and learn from each body I meet, and it has kept my mind opened and curious. How has Pilates changed your life? What word can summarize the biggest and most unbelievable change that Pilates has brought into your life?